And that's all from the final day of the 2017 BCA Indonesia Superseries Premier badminton tournament. 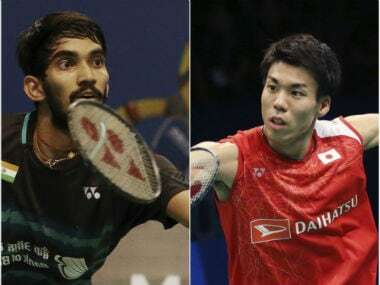 It was a delightful win for World No 22 Kidambi Srikanth as he cruised past Japan's Kazumasa Sakai in straight games to claim his third Superseries title. Elsewhere, World No 3 Sung Ji Hyun was stunned by Japan's Sayaka Sato in a three-game thriller. This was her maiden Indonesia Superseries Premier title. 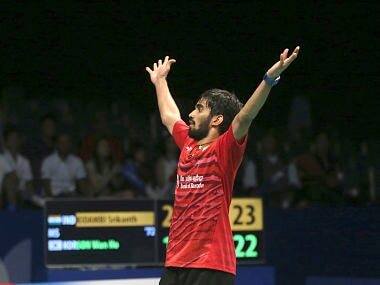 Former World No 3 Kidambi Srikanth wins his maiden Indonesia Superseries title after beating Sakai in straight games. Excellent attacking play from Srikanth there as he toys around with Sakai in the first hurdle to put the Japanese shuttler under immense pressure. If Srikanth manages to win, he will clinch a career-high ranking of No 2 in the BWF rankings. If he loses, he can still enjoy the 5th spot in the rankings. Hope you enjoyed our live blog. We will be back to provide the live updates for the Australian Open from Tuesday. Tell then, take care! Japanese shuttler Sato attacked the first game with quick wrist shots but squandered her lead in the second. However, she ran away with the lead in the third game as Sung Ji was stretched on the tramlines very often. 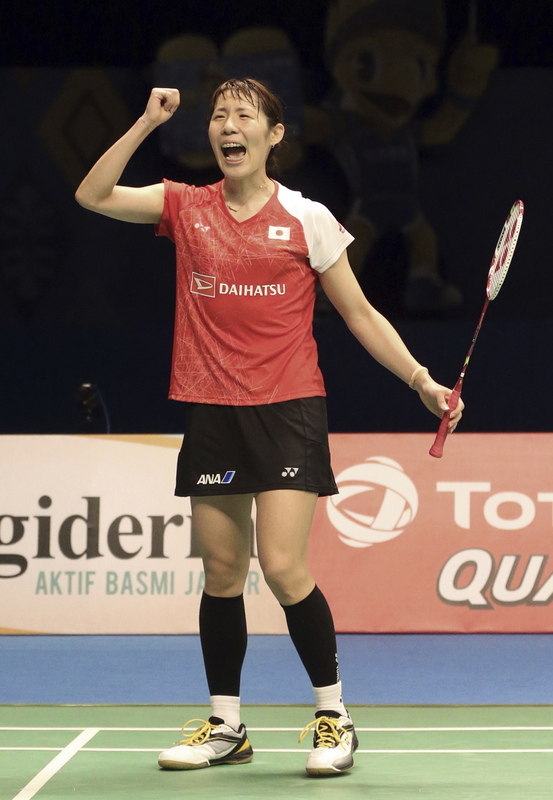 Sato claimed her maiden Indonesia Superseries Premier title after losing in the final 7 years ago at the hands of Saina Nehwal. 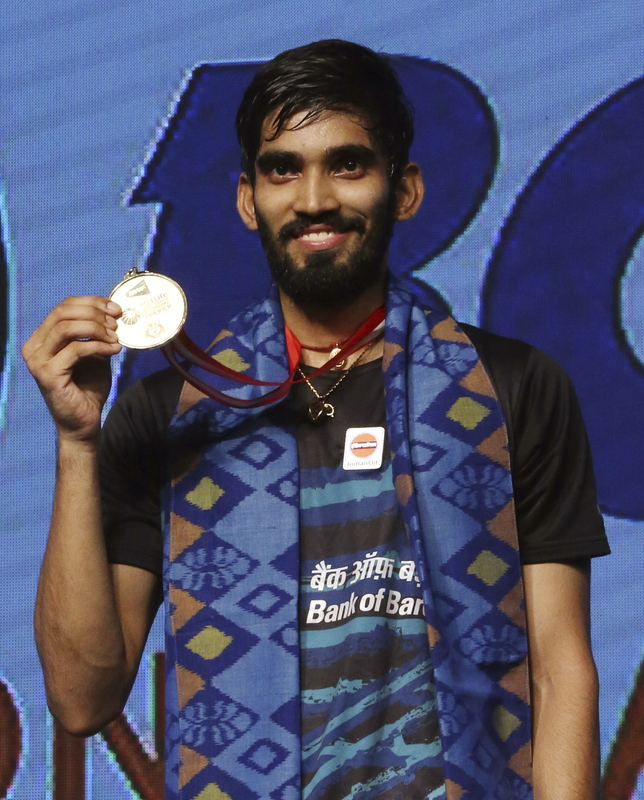 Srikanth Kidambi clinches his second Superseries Premier title! Dominated the first game and went on the win the match against journeyman Kazumasa Sakai in straight games. With this win, Srikanth moves up to No 2 from 14 in the Dubai Destination Rankings. He gave away a handful of points in the second game, all due to the net errors. Sakai, on the other hand, was all fired up in the second game despite hiccups in the first one. He invited pressure towards the end of the second game, allowing Srikanth to take control of his shots from the forecourt. 17-15! Sakai takes a two-point lead as we approach the end of the second game. A couple of misjudged decisions from Srikanth there. THAT SMASH WAS JUST TOO HOT TO HANDLE! 13-13! Seven points for Srikanth since the mid-game interval as he levels the scores in the second game. Can he stage a comeback to win the match? 12-8! Sakai is beginning to dominate the net in the second game. 9-5! Srikanth is taking the advantage of the drift inside the Jakarta Convention Center. He needs to follow up well. A four-point lead for Sakai who is much more confident in the second game. 5-3! Sakai is all pumped up in the second game as he plans to go all-out-attack against Srikanth. 3-2! Great defence from Sakai as he manages to execute a fine drive from the midcourt to take a slender one-point lead. All eyes will be on Srikanth in the crucial second game! 19-11! Srikanth has taken an unassailable lead in the first game as Sakai has been stretched on the basepoint. 17-9! Excellent court coverage from Srikanth enables him to play with even more attack. It is a treat to watch Srikanth when he is on a roll. 14-9! Srikanth has been brilliant with his defensive lifts so far as Sakai is trying to target the Indian shuttler with speedy shots. 10-8! Kidambi leading with a superb shot. 8-5! Srikanth extends his lead with a smart forehand trickery. It will be interesting to see if he manages to play his attacking game throughout the match! 5-3! Srikanth has taken an early lead to put some pressure on the Japanese shuttler. He is playing shots from the forecourt as expected. The third seeds from China win the final of the women's doubles in three games. It's the battle between the former World No 4 and the unseeded Japanese shuttler as the duo meet for the first time ever in a BWF tournament. Srikanth lost the opportunity to grab a Superseries title after losing to B Sai Praneeth in the final, however, he stands a chance to finally win it against a rejuvenated Sakai. It's the first Superseries final for the Japanese shuttler, who is ranked at 47 in the BWF rankings. It won't be an easy win for Srikanth as many predicted because of Sakai ability to shift the momentum out of nowhere. He defeated Rajiv Ouseph in a three-game thriller on Friday and snatched a win against high-flying HS Prannoy in the semi-final. In this case, Srikanth will have to keep Sakai on toes with his range of attacking shots and net plays. Get ready for a cracker of a match! Here's how Kidambi Srikanth dished out gritty performance to stun World No 1 Son Wan Ho and storm into final! Ahead of the men's singles final, here's all you need to know about Kazumasa Sakai, who aims to end Japanese men's singles misery by winning his maiden Superseries title against Kidambi Srikanth. 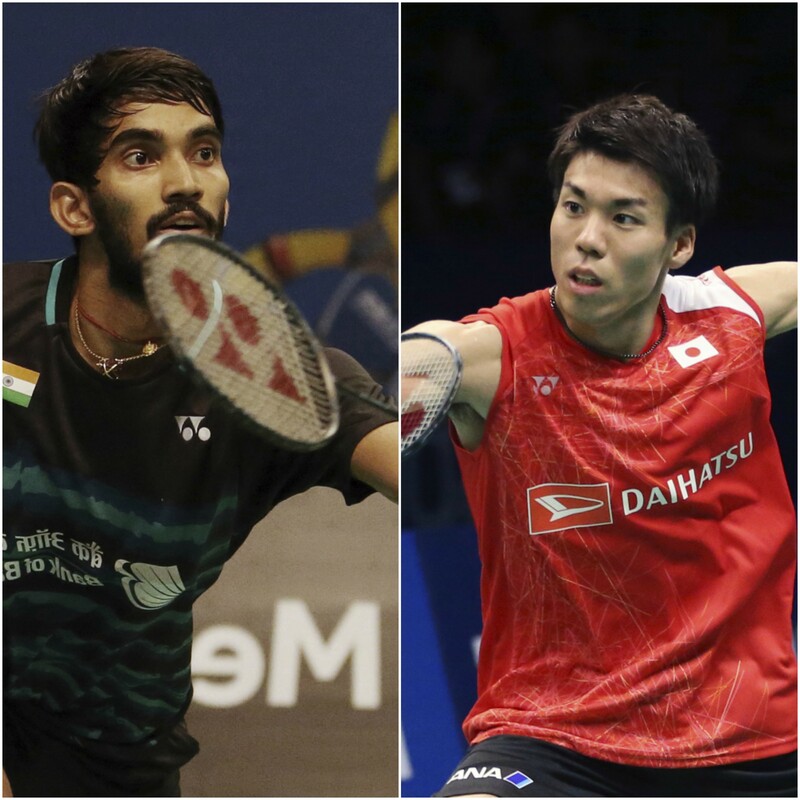 Hello and welcome to Firstpost's live coverage of the final day at the 2017 BCA Indonesia Superseries Premier as India's Kidambi Srikanth takes on qualifier Kazumasa Sakai in the final of the men's singles, while Sung Ji Hyun will square off against Japan's Sayaka Sato in the women's singles final. So, stick around and don't forget to cheer for your favourite shuttler(s). 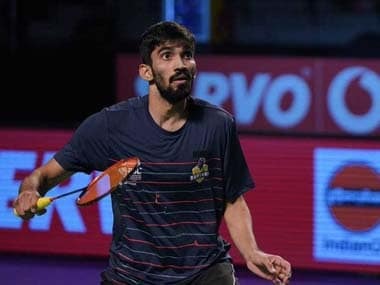 Report: Former world No 4 Kidambi Srikanth defeated World No 1 Son Wan Ho of Korea to enter the men's singles final of the Indonesia Superseries Premier on a day when HS Prannoy faced defeat against Japanese shutter Kazumasa Sakai in the first semi-final on Saturday. 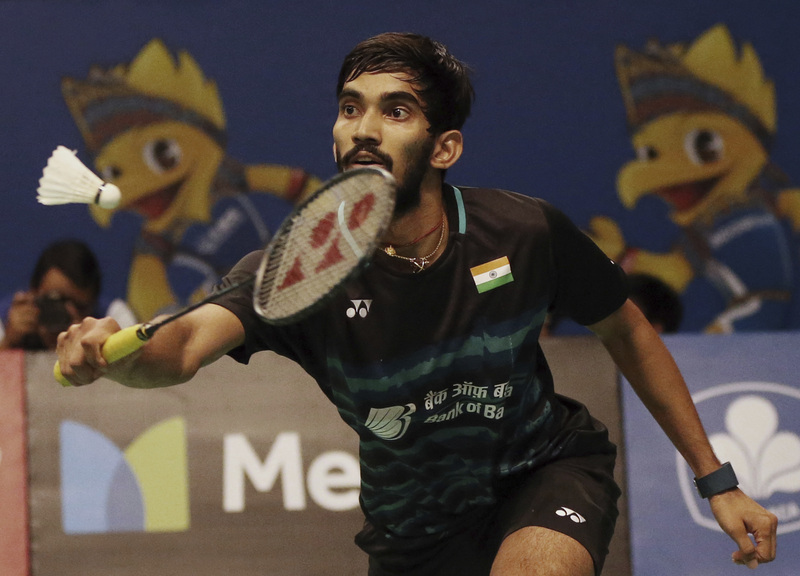 World No 22 Srikanth played the game of his life to win 21-15, 14-21, 24-22 against the South Korean and set up an enticing clash with Sakai in the final on Sunday at the Jakarta Convention Center. It was an easy first game for Srikanth who won 21-15. Son looked dangerous when he came close 10-12 from 6-11 but failed to take the advantage. In the second game, 29-year-old Son made a fine comeback despite trailing 4-6 to rely on his deft net play to equalise one game apiece with a 21-14 win. The final game remained stiff until the very end with none of the shuttlers giving any space to the opponents. Son edged ahead with a 13-10 lead but Srikanth kept firing winners to equalise at the 14-point mark and even held a point lead. But Son didn't flinch and kept rallying hard till the end to find crucial points. With the match reaching a tipping point in terms of intensity at 20-all, both the shuttlers felt the heat. While Srikanth banged a smash at the net, Son erred in hitting long. But the Indian kept his nerve to edge past Son and win 24-22.